(1) They are great entry books to the world of theology. These books represent what we call “systematic theology,” because they summarize Scripture’s claims concerning the basic tenets of the Christian faith. Typically systematic theology examines the topics of God, the Bible, creation, man, sin, Christ (Christology), salvation, the church, death, heaven, and what will happen in the end times (eschatology). (2) These authors do a wonderful job of summarizing Christian doctrine in real-language. If they use a ten-dollar word, they explain it. If there isn’t a need to elaborate, they don’t waste words. In short, they keep out the mumbo-jumbo that keeps many women from treading on theological ground. These are my kind of books. Are these the only theology books we recommend? Absolutely, positively no! But for the novice theologian, these books are great for cutting teeth on Christian doctrine. Is this the only type of theology we recommend you study? Again, no. There are lots of different areas of study (biblical theology, historical theology, etc). Systematic theology is just a nice place to begin because it gives you a solid foundation to explore other types of theology. Want to win one of these systematic theology books? Simply ‘like’ Hive Resources on Facebook and come back and leave us a comment telling us you did so! (Be sure to tell us which book you have your eye on). For non-facebook users, simply leave us a comment. If you already ‘like’ us on FB, then consider sharing this article with your pals. Giveaway ends Friday (Dec. 2) at midnight! GIVEAWAY CLOSED – WINNERS ANNOUNCED AT BOTTOM OF POST! Summary: Christian Beliefs: Twenty Basics Every Christian Should Know by Wayne Grudem is a condensed, reader-friendly version of his books ‘Bible Doctrine’ and ‘Systematic Theology.’ His book outlines 20 basic beliefs of the Christian faith, ranging from ‘what is God like?’ to ‘what will happen when Christ returns?’ Grudem, a respected author, is research professor of Bible and theology at Phoenix Seminary in Arizona. While some systematic theologies begin with the topic of God, Grudem opens his book with the topic of the Bible. As the highest source of information about God, the Scriptures inform all other tenets of the Christian faith. So, it makes for a smart introduction to the book. Grudem gives “real-world” applications of each of the Christian tenets discussed. For example, in his chapter on the Trinity, Grudem says the diversity and unity within the Godhead should be a mirror for how the Christian church operates. His chapter on prayer, Grudem explains that prayer is God’s design to produce dependence on Him. And in his chapter on the resurrection, Grudem paints a picture of Christ’s miraculous resurrection as more than returning from the dead. Rather, the resurrection is “the beginning of a new kind of human life” to which you and I are called to dwell. Even though the book offers only a condensed version of the basics of Christian doctrine, the chapter on election seemed a little spare. We recommend readers supplement this topic with additional reading material from other sources. New Christians – those just beginning their journey of faith would greatly benefit from this book, because it provides clear answers to common questions about life and Scripture. Small groups – the discussion questions at the end of each chapter provide a good format for small group discussions or classes for new believers. Unbelievers – Because the book does such a wonderful job explaining what the Bible says about life, it would make for a good book for someone who is actively seeking truth and asking genuine questions about God and His Word. Summary: Dug Down Deep: Building Your Life on Truths That Last , by Joshua Harris, is the personal journey of a man who left behind “superficial, uniformed” religion to travel on a quest to know God. While delving into some of the basic tenets of Christianity, Harris encourages readers to cultivate a heart for knowing God. Packed with memorable quotes, Harris book helps believers build their life on the sure and eternal truths of Scripture. The author makes theology personal, shattering the myth that theology proper is dry and tedious. He explains big concepts in concrete language that relates well for personal application, as well as personal growth. For example, in his chapter on God, Harris relates that God’s character qualities result in a believer’s personal security. In his chapter on the Bible, he devotes time to relating the significance of the story of Scripture for the story of a believer’s life. And his chapter on Christ relates the right role of emotion in the life of the believer. The author emphasizes that knowledge of God comes from absorbing and applying God’s revealed will about Himself and the world rather than simply information and facts about God. Because of the personal nature of the book, the author shares about his past struggles with temptation and lust. Although written from a perspective of grace and freedom, some of his stories are painfully honest. If you are sensitive to this type of material, it could make for awkward reading. Mature Christians should read this book for insight on how to pair theology and daily life. It is often difficult to separate the rules of Christianity from Scripture’s cry for a relationship. This book helps you find your way back to right beliefs that inform right actions. New believers (particularly young men) struggling to understand the war between their new nature and old nature would benefit from this book because of its easy-to-read format and clear language. Disillusioned Christians (or believers who are skeptical of church and doctrine) might also enjoy this book due to the author’s witty and self-deprecating writing style. This is one theology book without a trace of pride. Summary: Practical Theology for Women: How Knowing God Makes a Difference in Our Daily Lives , by Wendy Horger Alsup, is a theology book written for women by a woman. In her book, Alsup does more than encourage women to study theology; she makes a cry for women to learn to align their actions with their heart’s true beliefs by connecting faith and practice. Organized a little differently from most systematic theology books, Practical Theology pairs down the basics of Scripture’s teaching on the Christian faith into five areas :God , Christ, Spirit, prayer, and the Word of God. The author opens her book by answering two significant questions – what is theology and why do women need it? The author spells out her theology within the context of the power of the Gospel to transform lives. 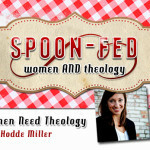 Her book is peppered with her own personal stories and testimonies of women changed by the Gospel. The author identifies theology (knowing God) as the “foundation for practical living.” Here are some of our favorite examples. How to be confident in God’s sovereignty. How to rightly interpret and respond to discipline and suffering. How can our lives reflect the truths of justification, kenosis (self-emptying of Christ in Phil. 2:3-8), and glorification? How to define our responses to temptations and trials in light of our supernatural connection to Christ and His church. How the Spirit’s role to convict of sin influences our responses to marital conflict. The book is a short-read. I re-read many pages over again, wishing she had included more information. For example, her chapter on “appropriating what you believe in difficult situations” was insightful, but I wish she had dug a little deeper for the reader’s benefit. All women! This book is a wonderful example of the steps a woman who fears the Lord should take on her journey to knowing God and living out her faith. Young women and mothers would particularly benefit from this book I wish I had a book like this when I was beginning college or early in my marriage. To be able to properly connect the Christian faith to daily living is truly a blessing. I certainly would have made less mistakes had I understand the nature and need for doing theology every day! Summary: Doctrine: What Christians Should Believe , by Mark Driscoll and Gerry Breshears, offers a serious look at 13 core doctrines of the Christian faith all organized around the framework of God’s character and activity in the world. Based off a sermon series Driscoll preached at his Seattle-based mega church, Mars Hill, the series contains no fluff stories or feel-good anecdotes. The authors begin by looking at the doctrine of the Trinity (who God is) and continues through what God does (God speaks, makes, loves, judges, pursues, dies, saves, sends, transforms, and reigns). The authors connect the common story of Scriptures that runs through both the Old and New Testaments. For example, in their chapter on the Bible, the authors address the question “how is Jesus is the hero of the Bible?” And in their chapter on covenants, the authors detail the connection each of these covenant hold to each other throughout the Scriptures. The authors do a great job of the continuous theme of the kingdom of God throughout the Scriptures. The authors use fresh, everyday language organized around common questions concerning the Christian faith and the Scriptures. No small feat considering the depth of information the authors present to the reader in this book. Like most systematic theologies, this book includes the history of specific doctrines including historic creeds of the church and the controversies surrounding them. Particularly, their chapter on the incarnation was helpful in distinguishing the true reality of the incarnation as revealed in Scripture against the incarnation beliefs of other religions and cults (both new and old). Each chapter includes a practical application and/or reason to study the topic it covers. For example, in their chapter on the Trinity, the authors indicate that studying the Trinity is necessary to cultivate an intimate relationship with the Triune God. And practically speaking, the Trinity calls believers to mirror the love between the members of the Godhead. Despite being clever and fresh, I missed the real-world stories that typically season Driscoll’s sermons. Would that have made the book longer? Yes, but sometimes too much information is actually enjoyable! Veteran Christians would benefit from a re-fresher course in systematic theology. This book would spur a mature Christian on to increased theological studies or bolster their skill in Christian apologetics. New converts would also enjoy reading this book despite the weighty subject matter and historical overviews. 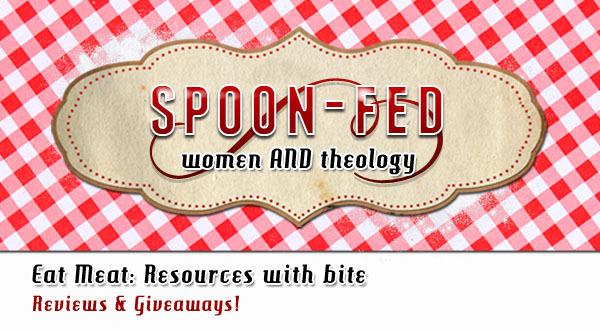 Don’t forget to enter to win one of these resources! ‘Like’ Hive Resources on Facebook and come back and leave us a comment telling us you did so! (Be sure to tell us which book you have your eye on). For non-facebook users, simply leave us a comment. If you already ‘like’ us on FB, then consider sharing this article with your pals. Giveaway ends Friday (Dec. 2) at midnight! GIVEAWAY CONTEST CLOSED! Everyone who left a comment will receive a book! Thanks to all who participated, I’ve already contacted you via email! Great review Melissa.Totally eyeing Wendy A. and Driscoll’s book. 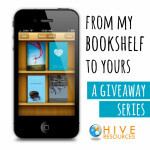 Just liked Hive Resources on FB! So excited about this site. 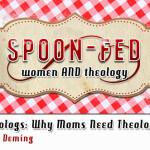 =) I have my eye on Practical Theology For Women. Thank you ! So excited for the revelation Dug Down Deep will give to my brother in Christ !